Mexican soldados murdered Texicans who had defended the garrison at La Bahia. A few managed to escape the massacre by slipping into the underbrush and then into the San Antonio River. 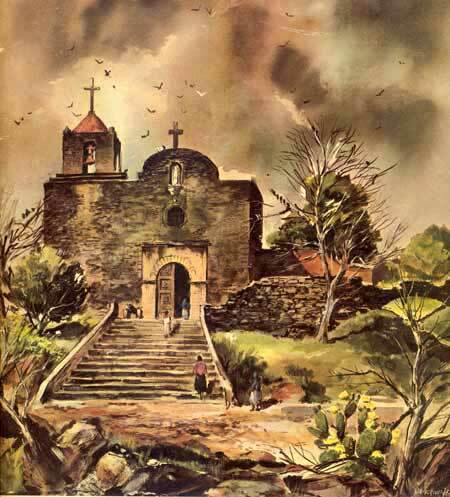 My Irish ancestors (including the grandfather of Lucy Cecelia Fagan) were rescued just before the massacre by a fellow rancher from the old San Antonio River Road — Carlos de la Garza. The story, depending on the telling, had several unusual twists, but the resulting conclusion was always that Nicholas and John Fagan made it to safety due to the intervention of their friend. Thank you, Carlos, wherever you are.